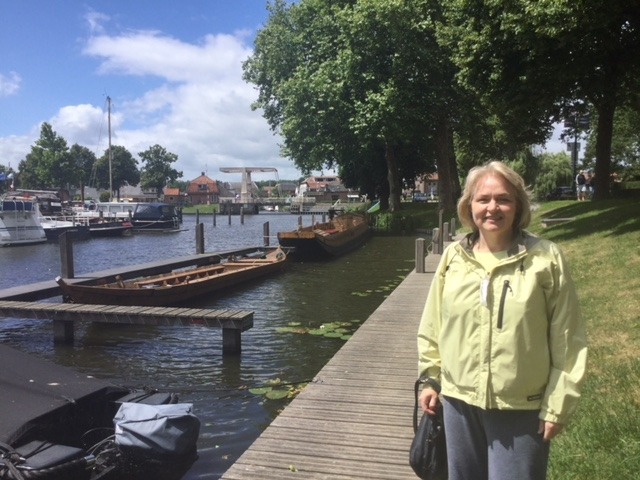 What a delightful time I had traveling to the UK and Netherlands June 7-21. I spoke to a total of nine audiences, around 80 – 100 typically, always a few more than the organizers expected. A few folks came from quite a distance. I hadn’t traveled in either country before, so I enjoyed encountering these new places too! 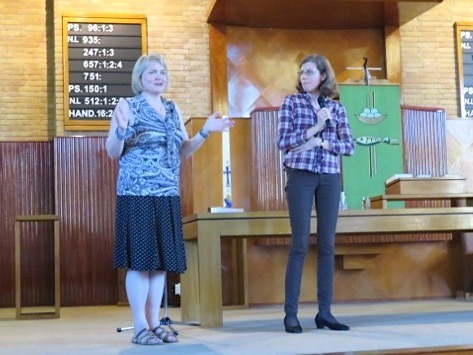 I first led a seminar weekend at Oak Tree Anglican Church in Acton, a suburb of London. 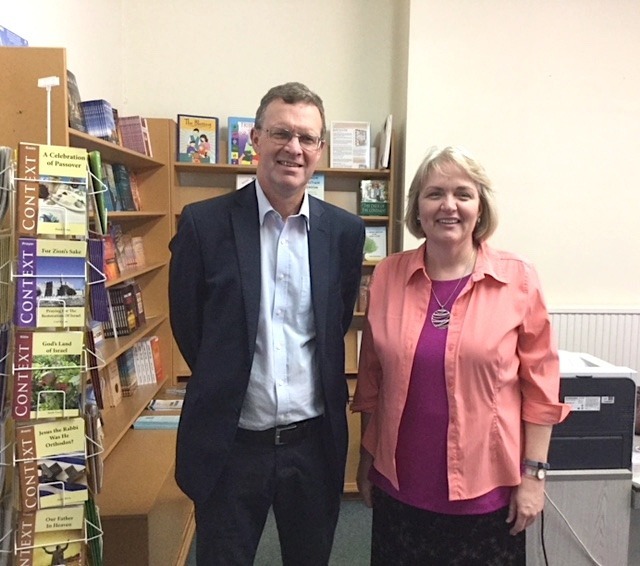 My host was Pastor Tim Sudworth, an avid reader of “contextual” insights on the Bible. This youthful, innovative church is situated in a former fire station, and they still have the fire pole! Along with giving some lessons from Reading the Bible with Rabbi Jesus, I taught on Jesus’ use of Jubilee imagery from Isaiah 61 to describe his ministry. 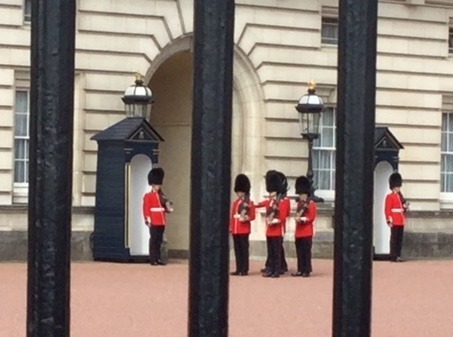 For a little sight-seeing we took the “Tube” into downtown London to visit Buckingham Palace and watch the changing of the guards. The queen’s flag was flying so we knew she was there, but alas, we didn’t pay her a personal visit. 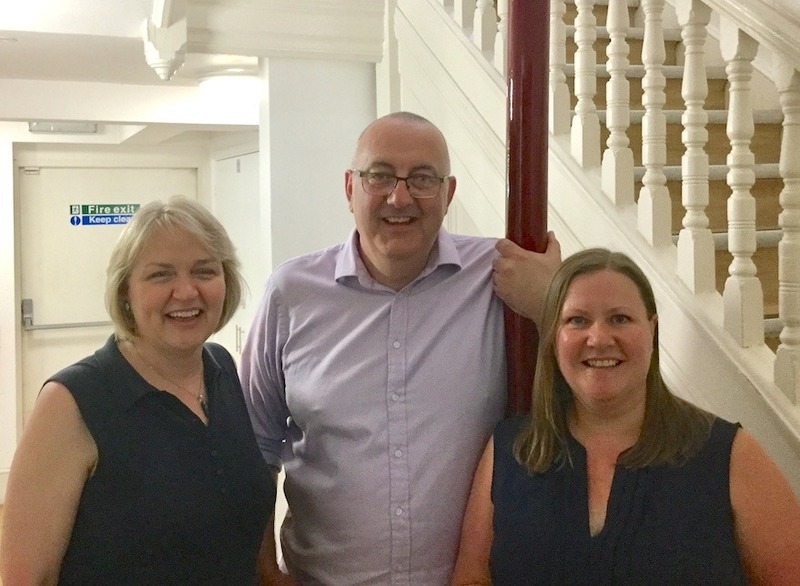 Then I did some traveling across England, visiting the headquarters of Christian Friends of Israel and speaking for CFI three times, from the south coast (Eastbourne) up to the north (Middlesbrough). I spoke about Jesus in his Jewish context to some delightful audiences, and enjoyed the countryside along the way. 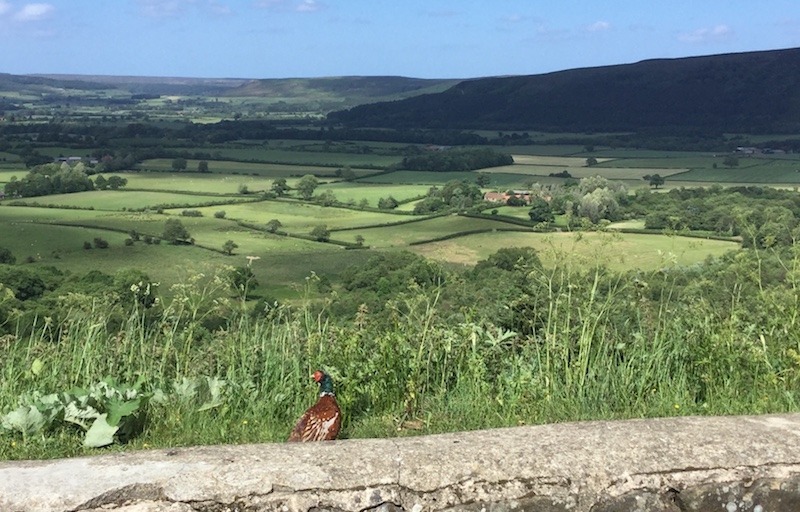 Northern England was particularly scenic with its “moorlands,” a semi-wild high land where sheep and pheasants wander unafraid. 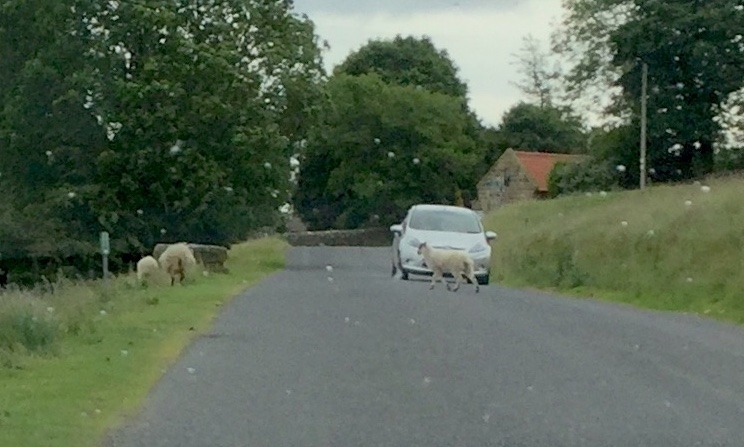 Flocks meander across the road and cars are expected to come to a stop. 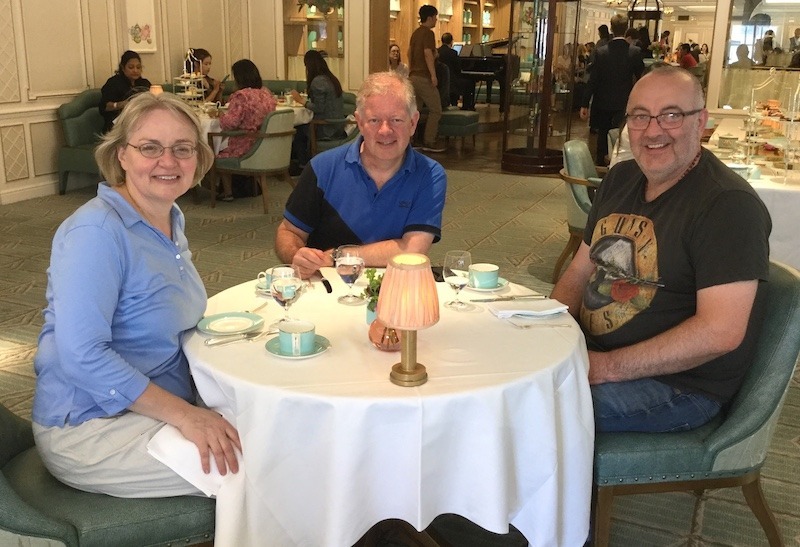 After nine days in the UK, I flew to the Netherlands for five days. We made the most of the long midsummer daylight, filling every hour with speaking and interviewing and touring. 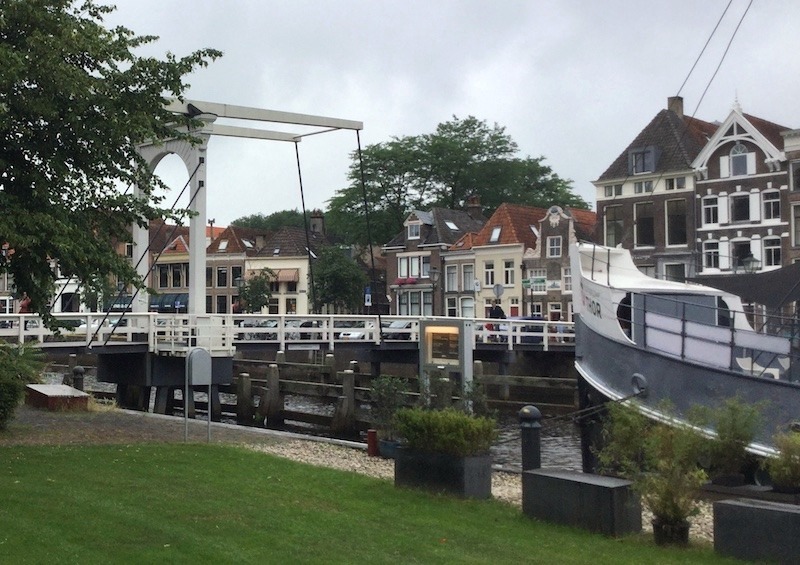 Two of the cities that I spoke in, Zwolle and Woerden, were particularly picturesque. Both had been surrounded by walls and canals for protection in ancient times, like walled cities in the Bible. Speaking was more challenging because I was working with a Dutch translator. Most people could understand me in English, but not all. 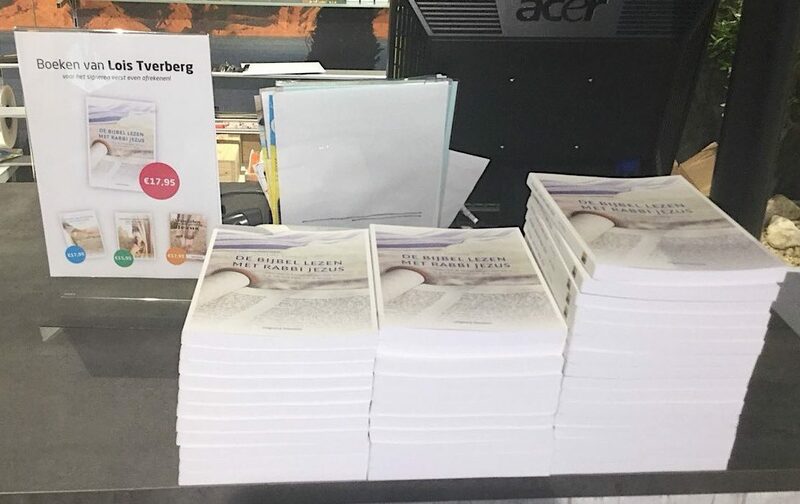 Much of the reason for my visit to the Netherlands was to celebrate the Dutch translation of my newest book, Reading the Bible with Rabbi Jesus (Baker 2018). 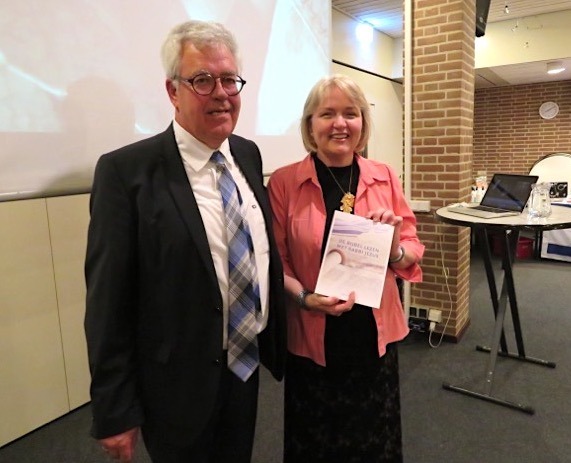 I gave a talk introducing the book, and then received the first copy from Klaas De Jong, the publisher. 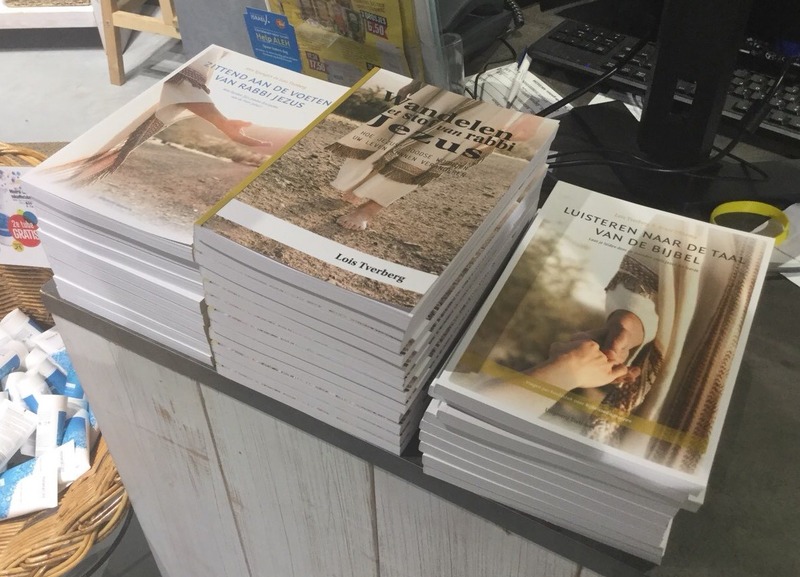 His company, Uitgeverij Toetssteen (Touchstone Publishing) has translated all four of the books that I’ve written. 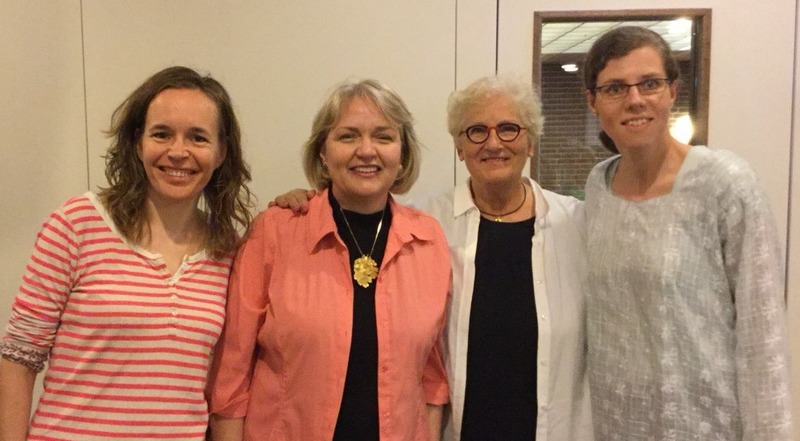 I also met the team of women who had translated Listening to the Language of the Bible into Dutch (Harriet Tamminga, Marije Davidsdochter and Ariena Noordman). I felt like they knew me well before I met them, because they had been reading my writing with a fine-tooth comb. We saw farms and cows and sheep and windmills. 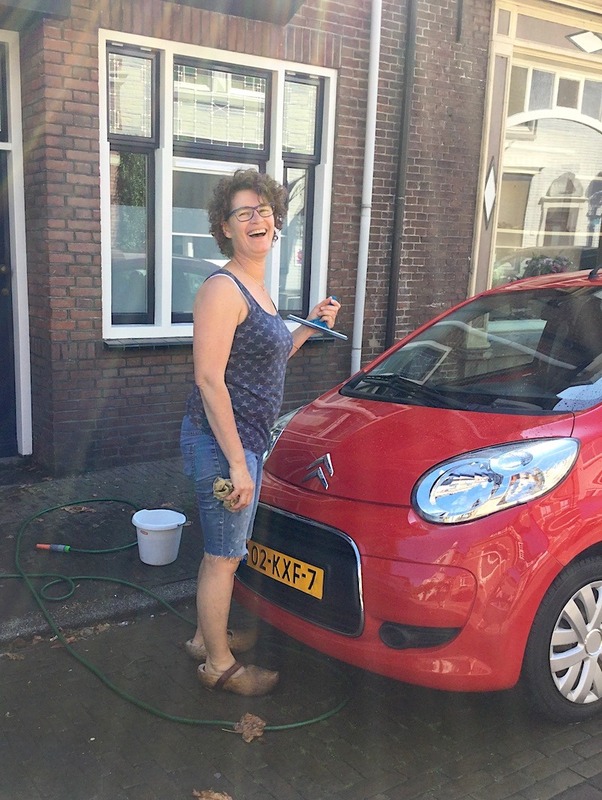 But I knew I was in the real Netherlands when I found a person wearing wooden shoes…while she was washing her car! 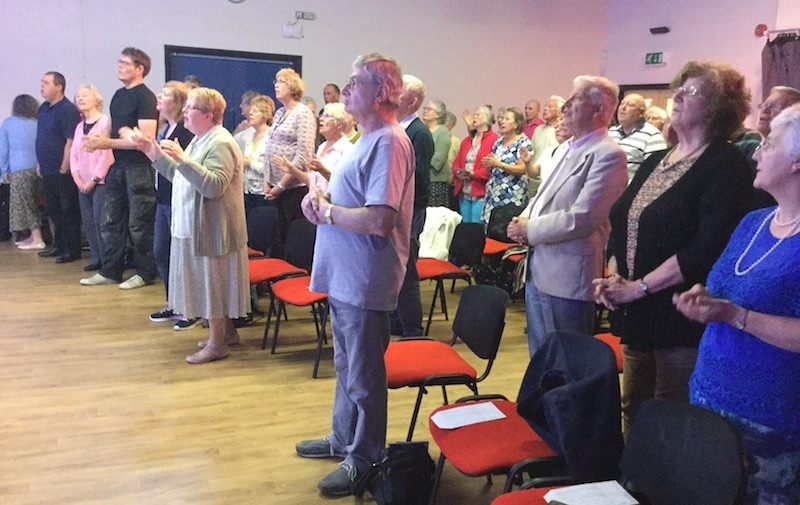 Churches in both the UK and the Netherlands have seen a decline over the past century, and many historic churches sit empty since they have few members. Of course, many faithful believers still live in both countries. 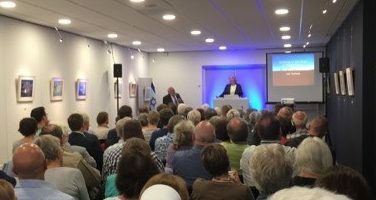 In the Netherlands, people are very aware of their country’s role in the Holocaust and anti-Semitism the church, so among Christians there’s a growing interest in Israel and the Jewish roots of Christianity. My final talk was at the Israel Center in Nijkerk, a beautiful new building built by the Christians for Israel organization. You can watch the talk I gave if you want. It’s available at this link. Thanks for all your prayers for my travels and energy! I was greatly blessed everywhere I went, and I hope to have blessed many there too. Lois, wish I could have been with you. I have not yet visited both countries. 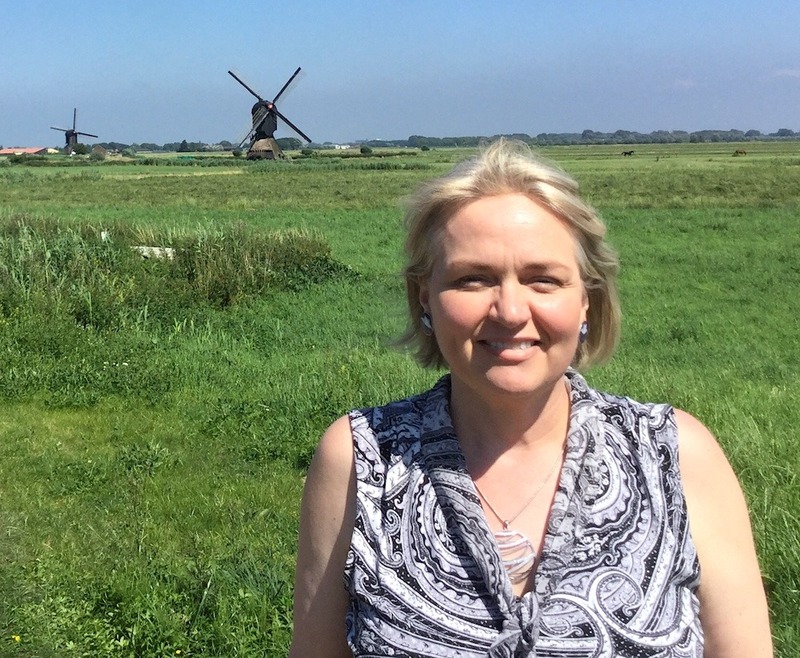 I feel drawn to both and as my family name is VanSciver, I want to connect with the Netherlands. My father’s grandfather and two brothers came to the US years ago from Holland. One of their names is Abraham. I am highly suspect that there is Jewish blood in the family. I follow your ministry, have your books and have heard you speak several times in Dayton, Ohio. I continue to spread the word about our Jewish Roots. I have had a ministry called EnGedi Ministries since the mid 80’s. I teach and host Seder meals, Sabbath meals, Feast of Tabernacles, etc. I was shocked when I heard about your ministry years ago that had almost the same name as mine……So thankful for your good work. So glad you had a wonderful trip!